From the author of Brothers and China in Ten Words: this celebrated contemporary classic of Chinese literature was also adapted for film by Zhang Yimou. This searing novel, originally banned in China but later named one of that nation's most influential books, portrays one man's transformation from the spoiled son of a landlord to a kindhearted peasant. After squandering his family's fortune in gambling dens and brothels, the young, deeply penitent Fugui settles down to do the honest work of a farmer. Forced by the Nationalist Army to leave behind his family, he witnesses the horrors and privations of the Civil War, only to return years later to face a string of hardships brought on by the ravages of the Cultural Revolution. 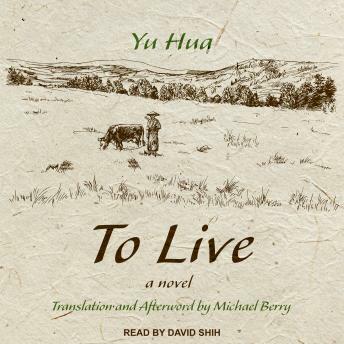 Left with an ox as the companion of his final years, Fugui stands as a model of gritty authenticity, buoyed by his appreciation for life in this narrative of humbling power.